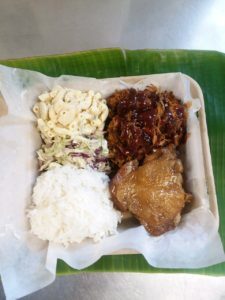 Maui boys Kevin and Jensen are bringing Hawai’i grinds to mainland folk, one plate lunch at a time. 808 Grinds is a lunch wagon amongst a block of competing lunch wagons. At SW 9th and Washington Street in Portland Oregon, they make themselves known without all the bustle and noise of others inviting customers to partake. 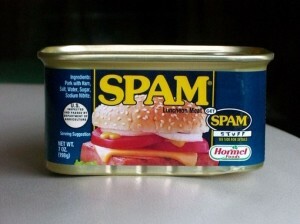 Instead they kick back and let the food speak directly to hungry stomachs. 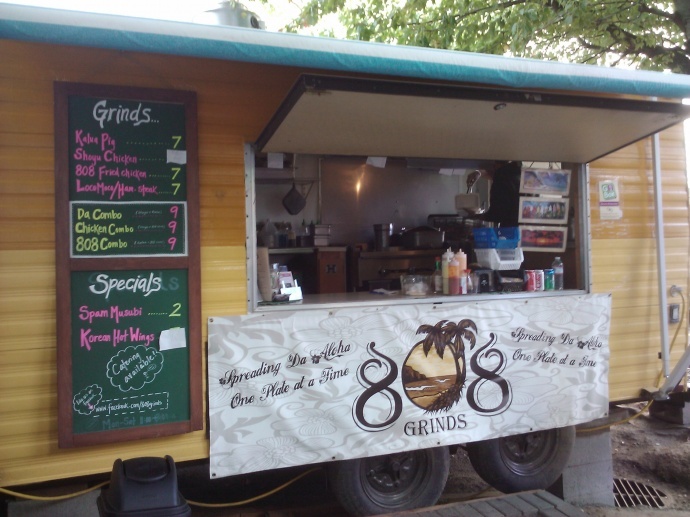 For a little over a year, 808 Grinds has won over many local food noobs. 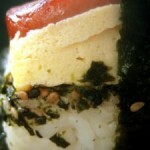 They offer Kalua pig, Korean, mochiko or “fried” chicken, and shoyu chicken, loco moco’s, hamburger steak and spam musubi. White rice and mac salad, or side salad come standard with each plate. 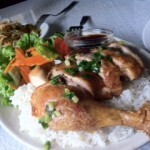 The portions are local-style, which is to say, large and filling. 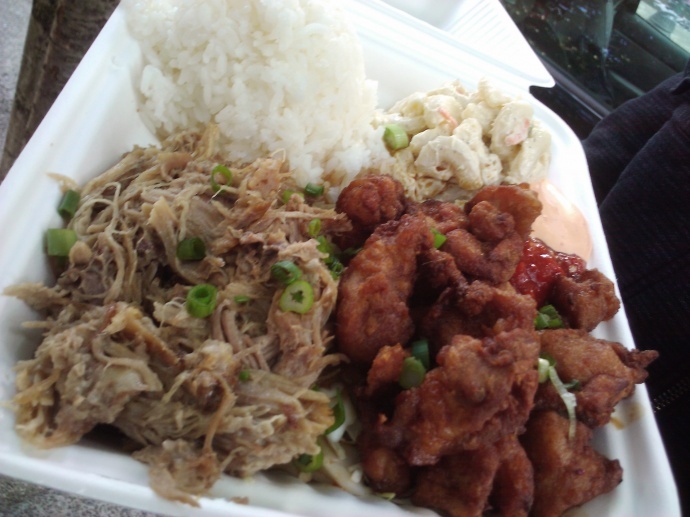 The kalua pork is ‘ono and made fresh each night. If you can’t find “mochiko chicken” on the menu, get the “fried chicken.” It’s the same preparation and fry method, but without the inevitable questions from (un)local food lovers. Apparently, more than a few people in Portland are unaware that mochiko is a sweet rice flour that can be used in food preparation. This little lunch wagon is outfitted with the bare necessities for cooking. Somehow these boys manage to turn out plate after plate of food in a small space. When pressed, this little truck and its two cooks can turn out approximately 150 plates in just under two hours. 808’s steady stream of regulars has these boys convinced that local food has a place in Portland. They are planning to outfit a second wagon and possibly open a restaurant in the future.